Last week, Crossroads had the privilege of not only presenting at the world’s most prestigious archaeology conference, we were honoured to do it next to colleagues who have come to mean a lot to us. It’s been almost five years since we travelled to Green Lake for a project that has become one of our most profound to date. 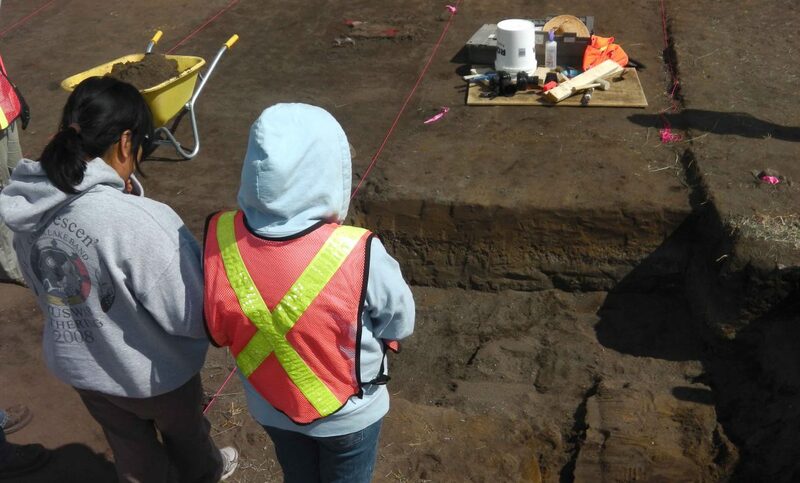 We worked alongside band members to relocate their ancestors, whose remains were slowly sliding into the lake. The successful relocation of those remains was just a small piece of our experience; far more enduring were the relationships we formed. So, when Crossroads took the stage in front of more than 150 participants at the 81th Annual Meeting of the Society for American Archaeology in Vancouver recently to both chair the Indigenous Archaeologies symposium and share our experience at Green Lake, our presentation was compelling not just for its stories and imagery of the stunning region; it was a beautiful because we were living the philosophy we espouse at Crossroads: that projects come and go, but relationships should last. As one of dozens of concurrent sessions happening at this conference of more than 3,000 archaeologists, our presentation’s theme was witnessing. 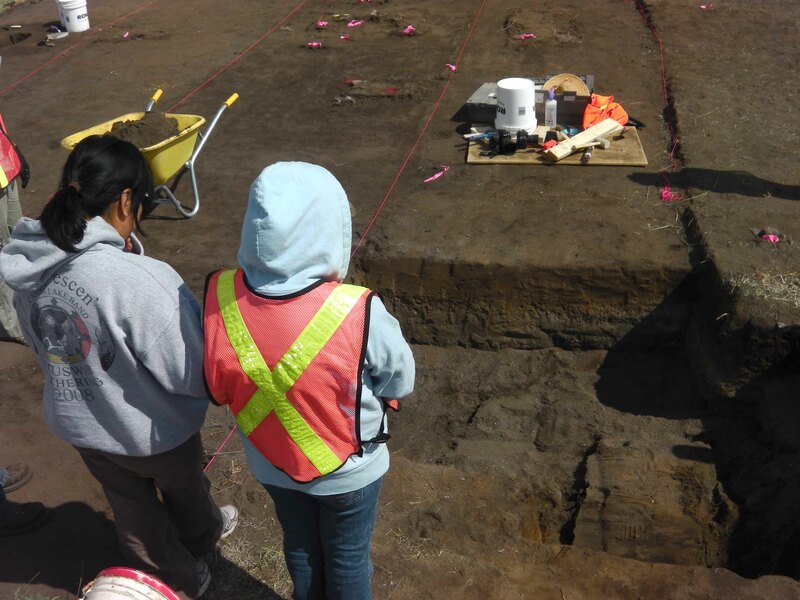 Five years ago, as we participated in the excavation and relocation of individuals—positioning them exactly as we found them—who are the ancestors of those who still live at Green Lake, we ensured the community was there to witness. Local elders were always on site, smudging everyone as they arrived or left the excavation. We involved the community in the work and hired them to maintain 24-hour security. After the reburial ceremony, as a backhoe spread dirt over the ancestors’ graves, Chief Mike Archie remained, watching the machine as it worked: just witnessing. 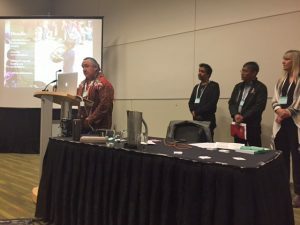 And so Chief Archie, Councillor Don Dixon—Canim Lake’s natural resources coordinator—and three other band members made the five-hour trip from their home in the Interior to Vancouver two weeks ago, again to bear witness. Taking the stage alongside myself, Dana Evaschuk and Jocelyn Franks, Chief Archie closed the presentation, speaking eloquently as he thanked the Crossroads team for prioritizing cultural protocols: “I would like to thank everyone involved for listening to us and honouring our ancestors in this project,” he told the symposium. Councillor Dixon spoke to the importance of our ongoing relationship: “The focus that’s been put on maintaining a meaningful relationship with us since the beginning, which continues years later after this project completed, is what allows us to stand here and proudly present this project to you today,” he said. Ultimately, the band members drove all that way because these aren’t just slides on a screen or pictures of bones. They’re living, spirited entities that need to be treated as such. Once again, they were there to witness. We often joke that there’s no end to our projects, but in truth there’s no end to the relationships. We look forward to our continued relationship with the Canim Lake Band and their Suswap neighbours.